Ultra High Molecular Weight Polyethylene(UHMWPE for short)pipe is extruded out with 3.5~9.2 million viscosityaverage molecular weight material by extruding machine in high temperature and pressure situation. 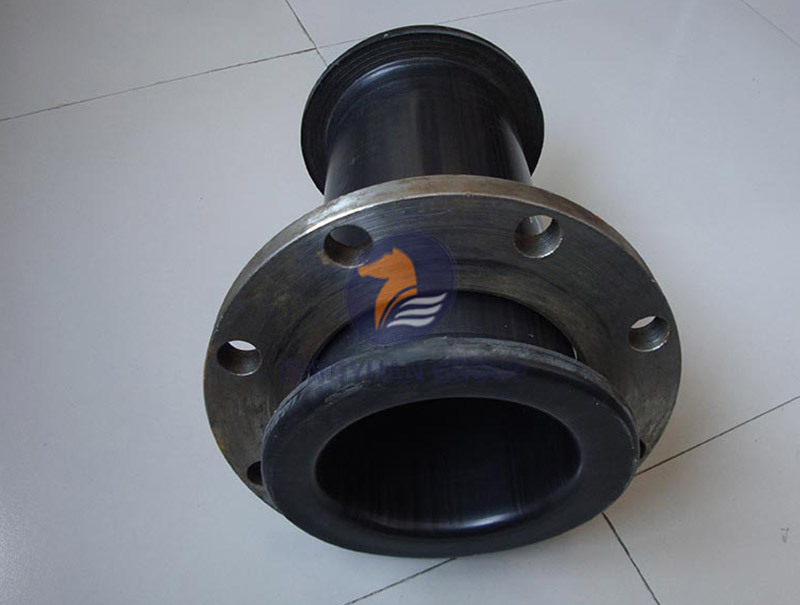 The UHMWPE pipeline is widely applied in the fields of hydraulic reclamation,dredging, mine tailing,ash transporting and so on. P.S. Customized diameter, thickness, length, color, etc. are available. UHMWPE has the best wear resistance among all the engineering plastics. The higher molecular weight of the material ensure the better wear resistance of the pipeline. 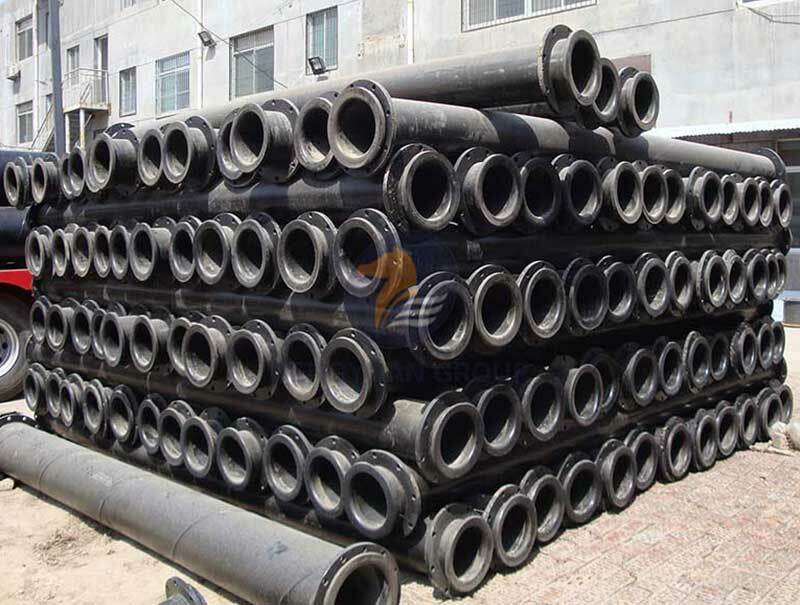 The wear resistance of UHMWPE pipe is 4~6 times higher than Q235 carbon steel pipe, 2.7 times higher than silicon-manganese 13 wear resistant steel pipe and 3 times higher than HDPE pipe, which enables UHMWPE pipe to be ideal for sand and slurry discharging. UHMWPE pipe has very smooth surface with low friction loss and high flow rate. 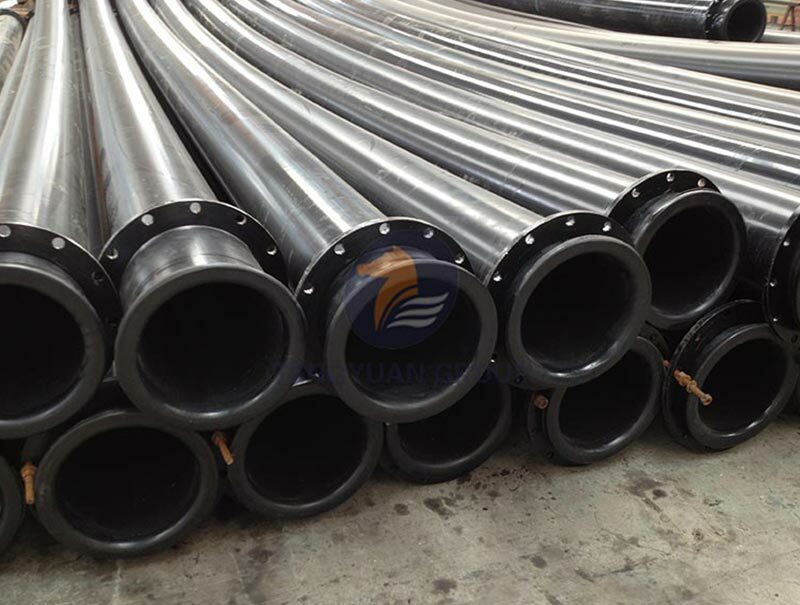 The manning roughness coefficient of UHMWPE pipe is 0.0065, while steel pipe is 0.012, which could greatly increase the transportation efficiency, saving pumping costs. With superior wear resistance, the UHMWPE pipelines will have less rotation frequency, the pipeline replacement cycle will be largely prolonged, which efficiently minimize the total costs for the project. With good anti-adhesion, the UHMWPE pipelines will not be easy to have scaling, so no need acid cleaning. 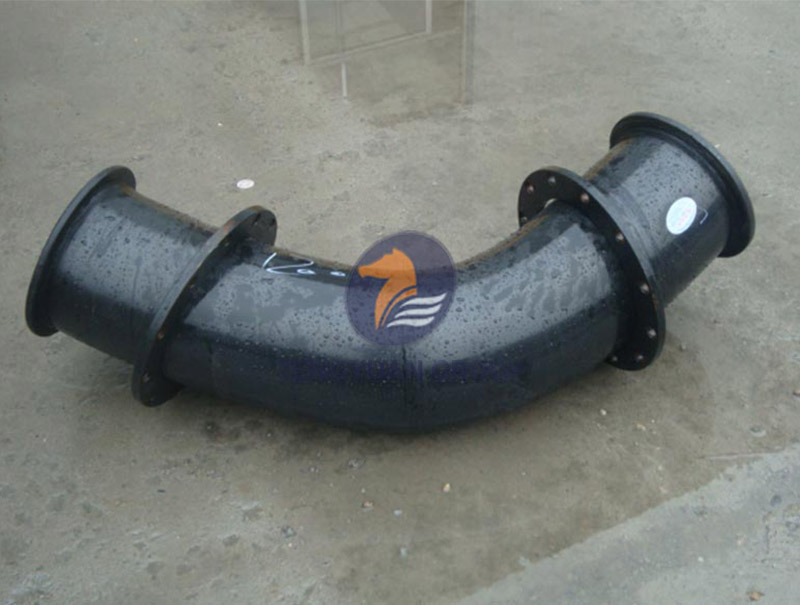 With good corrosion resistance, the UHMWPE pipelines will not need anti-corrosion treatment. 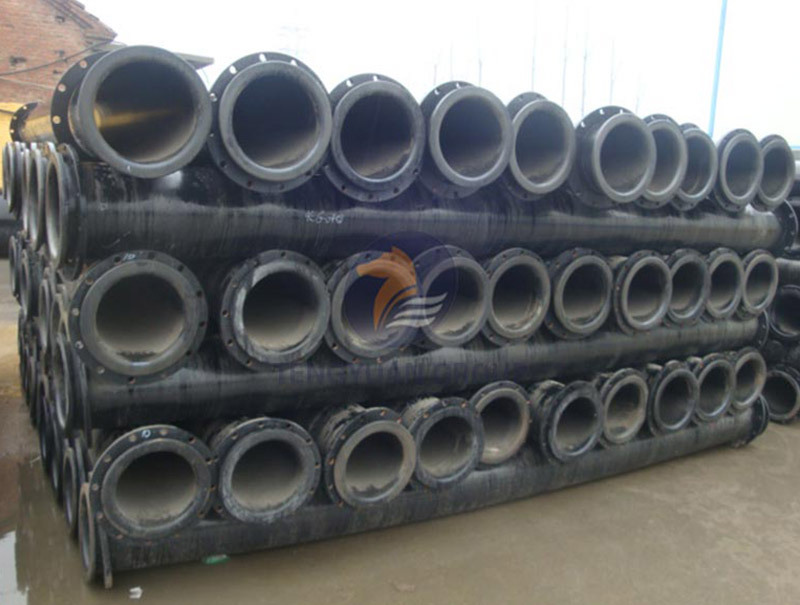 UHMWPE pipe is light weight and the density of its material is 0.945g/cm3, approximately one-half the weight of aluminum and one-eighth the weight of steel, which effectively reducing transportation, handling and installation costs. 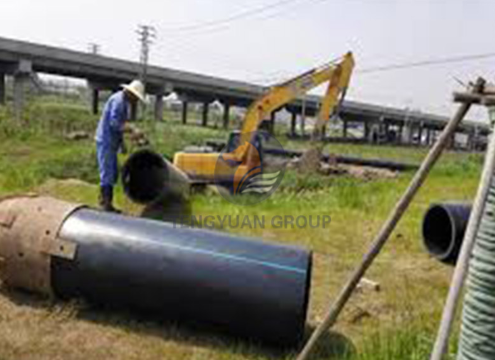 The UHMWPE pipeline could be connected by steel flanges, easy to install and dismantle at the working sites. The UHMWPE stub ends will work as gaskets, the flat sealing face and good verticality will keep good sealing and well protect the flanging part from severe abrasion.